La Cartuja is a unique wine produced in the Priorat region, one of the most prestigious appellations in Spain. Priorat is special due to the unmistakable mineral identity that the licorella (volcanic Slate) imparts in its wines. La Cartuja was born in 2007 with the objective of bottling a special wine that is able to capture the mineral identity of this unique territory. A second objective with La Cartuja was to make a Priorat that approachable and not alcoholic while young. Lastly and perhaps the most difficult of objectives to accomplish was to make a wine of this pedigree at an inconceivable price. La Cartuja is a small production cuvée made from organically grown and estate-owned, grapes located in the Carthusian Les Solanes estate. La Cartuja is a fresh vision of Priorat, a wine that is young and accessible. During medieval times, La Cartuja was the name given to a large geographical area governed by the Carthusian monks. Similar to the Vatican estates, this area had its own code of law. 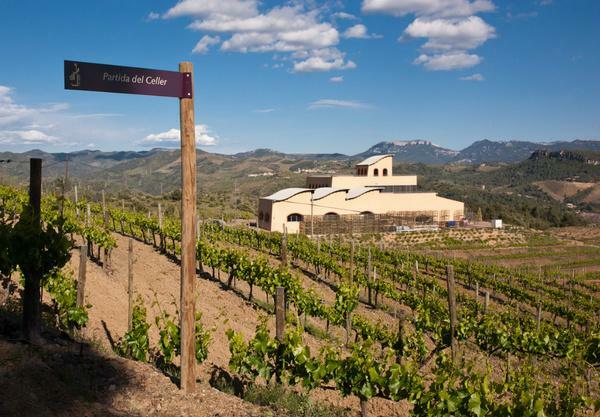 The whole of Priorat was a "Cartuja," a religious state rather than a civil domain. Priorat's winemaking heritage began with the Carthusian monks. For centuries they performed the backbreaking work necessary to care for these difficult, isolated vineyards.